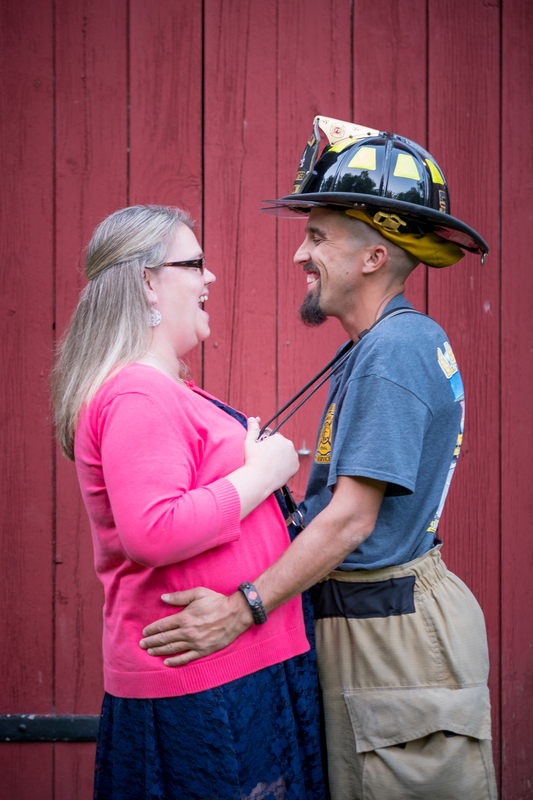 Are you stressing out about your upcoming engagement session? Not sure if your fiancé is going to enjoy it or want to participate? 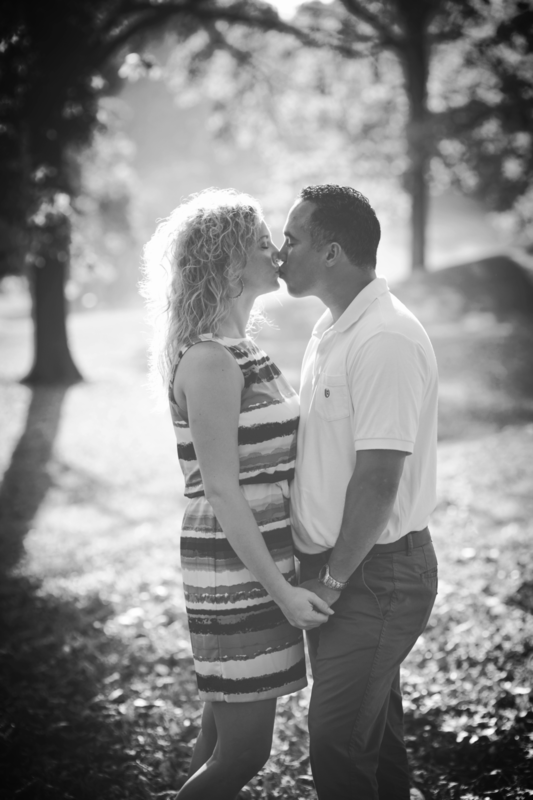 Check out these tips for creating a beautiful engagement session. Plan your engagement session for the early morning or evening. Good lighting is key to looking your best and creating a beautiful photo, and there is a time called Golden Hour and this will be about 1-1.5 hours after sunrise or before sunset. Make it worth his while. Motivate him in whatever way you think will make him want to participate in your session. In the time leading up to the session, explain to him what’s going to happen that day. He’s probably never done anything like this before and doesn’t know what to expect. He’s not on Pinterest all the time looking up cute engagement photos or anything like that, so he may not know anything about this kind of session, or even understand what it’s for. Tell him that the photographer is going to have you guys probably hold hands, cuddle, hug and kiss. You want to explain the session to him prior so it’s not scary for him and he won’t feel awkward as it’s happening. Be extra loving with him before the session. Picture day can be stressful, so it’s easy to get on each other's nerves beforehand. Make a point to be more loving and patient during this time. This will make the photos better because you’re not upset with each other due to something that happened that morning due to stress. You’ll be able to relax and be more affectionate during the session. Explain the importance of the photos to him. Let him know, “I know this stressful and you may not want to do it, but I want tomorrow to be all about us. In 50 years I want to look back on these photos.” This way he doesn’t think it’s just something that is on the "getting married checklist" that he has to do before the wedding, but that these pictures are important. He loves you; he’ll do it for you. Incorporate his ideas in the session. Ask him if he has any ideas for the session. If he has something he wants to do, then he will be more excited about them because he will feel involved and like it’s about him too, not just all about you (which we both know that it is) :). Think about what makes you guys unique as a couple and incorporate those ideas into the session, whether it be a location, props, clothing, etc. 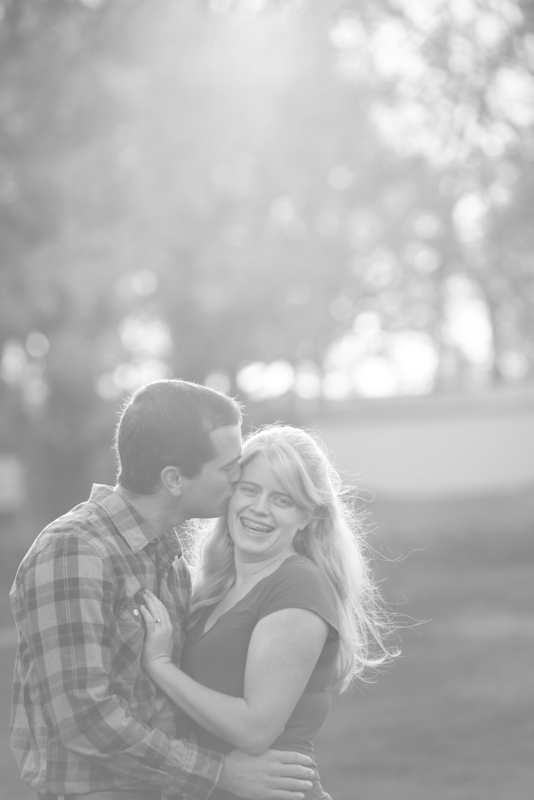 This session showcases the relationship between you & your fiancé. If you two feel more authentic dressing casually, then feel free to wear your t-shirt and jeans! Just make sure they’re your best pair! It’s always fun to photograph you dressed up: it’s an important occasion, after all! In some pictures your photographer may ask you to pose sitting down. It’s unfortunate when an image should draw your eye to a happy couple embracing, but the white tube socks steal the show! So go buy your man some dress socks if they don’t own a pair already. Don’t worry about feeling awkward or weird being photographed… If you trust your photographer you will get some amazing photos to cherish forever! The ultimate goal is to have fun for an hour or two while getting some amazing photos to announce your engagement to your friends and family!